Former Google research scientist Jack Poulson has resigned from the company over its decision to move forward with a censored search engine approved by the Chinese government for use in the country. Poulson quit after he raised concerns with his supervisors about Google’s secret project to release a censored search app in China, ultimately determining the company was willing to "capitulate" to China, the Intercept reported. He said the company’s actions erode protections for dissidents and forfeits the values Google claims to have, and he argued that hosting data in China would help authorities police activists and journalists. "Due to my conviction that dissent is fundamental to functioning democracies, I am forced to resign in order to avoid contributing to, or profiting from, the erosion of protection for dissidents," he wrote to his bosses. The Chinese communist government maintains strict control over the internet within the country, and Google removed its censored search engine there in 2010. China continues to censor web content related to dissidents, democracy, Chinese history, and more, and Poulson said cooperating with its censorship sets a dangerous precedent. "I view our intent to capitulate to censorship and surveillance demands in exchange for access to the Chinese market as a forfeiture of our values and governmental negotiating position across the globe," he wrote. "There is an all-too-real possibility that other nations will attempt to leverage our actions in China in order to demand our compliance with their security demands." Poulson said around five people have resigned for the same reason. When the project, codenamed Dragonfly, was reported in the press, he was one of many both inside and outside the company demanding answers from the tech giant. Not only did they fail to answer him, Google executives even refused to show up to a Senate Intelligence Committee hearing and answer questions about their activity in China. Since Poulson worked on the area known as international query analysis, his work has possibly been part of Dragonfly unbeknownst to him. When news about Dragonfly’s development outraged many company employees, more than 1,400 employees signed a letter calling for the company to appoint an ombudsman to investigate the "urgent moral and ethical issues" at play. 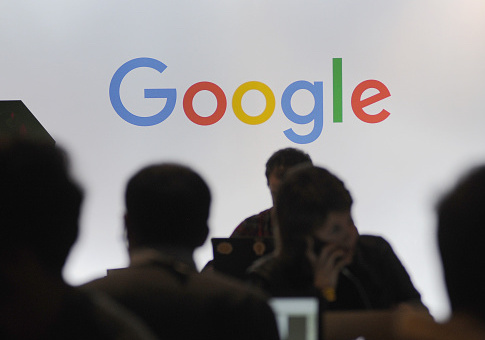 Google rebuffed the demand without explanation. Instead, Google did crack down on employees’ access to information about Dragonfly. Now they cannot stream meetings live on their own computers and must watch them inside designated rooms at Google offices. Poulson said the limited backlash has been disappointing. "It’s incredible how little solidarity there is on this," he said. "It is my understanding that when you have a serious ethical disagreement with an issue, your proper course of action is to resign." Google employees have shown in the past they have clout within the company on political issues. When engineer James Damore questioned Google’s diversity policies, he faced opposition from executives as well as fellow employees, ultimately leading to his dismissal. News of Poulson’s resignation comes after video surfaced this week of Google executives expressing dismay at the election of President Donald Trump. They considered the 2016 election results a matter of grave importance worth having a dialogue with employees over, in sharp contrast to how they’ve addressed Dragonfly. Poulson said the company’s actions in China are a matter of global importance. "There are serious worldwide repercussions to this," he said. "What are Google’s ethical red lines? We already wrote some down, but now we seem to be crossing those. I would really like to see statements about what Google’s commitments are." This entry was posted in Issues and tagged China, Google. Bookmark the permalink.